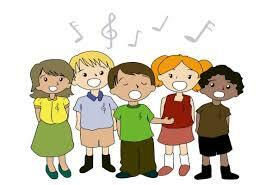 In December, our kindergarten students join their voices in song to celebrate the winter season. Again in June, they share the music they have learned all year. While learning about good character traits, the second graders perform a musical play relating to the building of good character and supporting the school's Code of Conduct. The entire student body watches and enjoys this play in March. Followed up by a performance for their parents. Education comes to life at Camp Campbell Outdoor Science School where 5th grade students experience the thrills of nature through hands-on lessons and activities. Camp Campbell fosters a love for nature and the outdoors, and the development of attitudes and practices that build character and awareness for the environment—all amidst the fun of campfires, songs, and meaningful relationships. Students also participate in traditional camp activities like sing-a-longs, bouldering/climbing wall, skit nights, arts & crafts, group games, BBQs, and science-based night hikes. Environmental education at Camp Campbell Outdoor Science School is an extension of classroom curriculum. Just as students go to the lab to study chemistry or to the gym to study physical education, students need to go the outdoors to learn best how the environment operates. Students see, feel, hear, and smell the realities of nature. Each field group participates in a daylong hike, approximately 3-5 miles round trip, traveling through several eco-communities. Students experience a night hike and astronomy study that emphasizes nocturnal animal life and nighttime sensory awareness. Students participate in a campfire where each cabin group presents a skit about concepts learned during the week. Our qualified staff of California credentialed field teachers and naturalists lead students through our curriculum. Our field teachers and naturalists are experienced in the special structure and teaching skills required by an outdoor classroom setting. All naturalists have completed an 8 week intensive internship program. Students are supervised in the cabins by mature and responsible high school student volunteers who are at camp as part of a teen leadership program. Cabin leaders are in good academic standing and must obtain a signature from all of their teachers as a reference that they are a good role model for younger children. Cabin leaders participate in extensive training where they learn behavior management, child abuse prevention, appropriate games to play and stories to tell, and much more. Each cabin leader is guided and supervised throughout the week by a field teacher. Our Health Supervisor is available at camp 24 hours a day. Every field teacher is first aid and CPR certified, carries a first aid kit, and a radio for quick access to the health supervisor even when out on trail. Program staff help maintain health and safety standards. Students meet one day a week before school to learn different problem solving techniques and practice solving non-typical math problems. 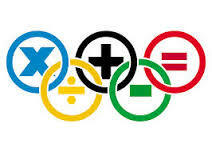 The Math Olympiad contest consists of 5 exams held once a month from November to March. Exams cover advanced math problems and have the same paper for 4th, 5th and 6th graders. This Instrumental Band Program is an optional part of the curriculum of the Evergreen School District. 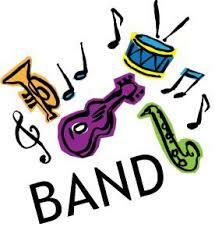 The program is offered to all 5th and 6th grade students interested in learning to play a band instrument. Band class meets for 45 minutes once a week during the school day and is a “Performing Arts” class. Performances are important and all students are expected to perform a band concert. There is no cost for this program. Students will be provided “Standards of Excellence, Book 1” by Bruce Pearson (the red book). A cleaning/care kit for their instrument of choice will be needed. Students may also need to rent or buy their instrument. Instruction will be offered on flute, clarinet, alto saxophone, trumpet, and trombone. Registration and classes begin in September. For more information, contact: Karen Kolber, Evergreen School District Music Teacher, kkolber@eesd.org or 408-270-6900. Through the Evergreen Elementary School District, an art teacher conducts weekly hands on art lessons to our 4th through 6th graders. Students in grades 3-6 have the opportunity to participate in Drama Club through our school play. The after school Drama Club allows students to fully experience being a part of a theater production from auditions, to rehearsals, to the excitement of the performance and finally the reward of applause for a job well done. 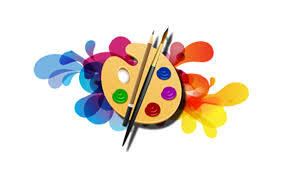 We partner with Starting Arts, a nonprofit organization whose mission is the promotion and preservation of quality arts education in public schools. Practices begin in February with performances in May.